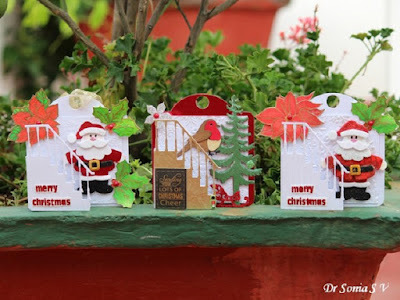 Dr Sonia has made a delightful set of Christmas tags. Now, we all know that one can never have enough Christmas tags! I am loving the traditional Christmas colours and the fact that the images have a special story. Pop over to Dr Sonia's blog to hear all about it. I will post my Christmas card before the end of the month, to help inspire you. But for now, I will leave you with Linda and Dr Sonia's beautiful works. what very beautiful creations by the DT and such lovely designs too. Thank you so much for all your hard work involved in this wonderful challenge. What great DT work as always Mo! I don't post every day on my blog but will be hopping in next week with a card I just finished making! Oh my, I am going to have to spend a lot of time at Dr. Sonia's blog learning about these awesome tags. And Linda's snowman is adorable. Great work from both. Wow, awesome card and tags! Thanks for the challenge - I have been lax this month and have not made any Christmas cards! Will need to get my Rudolph Day card made pronto! I always love joining in your challenge as I watch my stash of Christmas cards grow! Love all the DT samples. Love Dr Sonia's tags and Linda's special fold! Excellent prizes this month! Wonderful wonderful creations by DT and lovely prizes too, Mo, so glad can join in as was away last month and not blogged in five weeks!!! Sweet cards by Dr Sonia and Linda. I really need to get on with my Christmas cards and will be uploading shortly. I have commented on Dr Sonia's blog on her card but there is no link to Linda's blog so Linda this is for your. Love the PB image and the use of pink with the lovely papers. Such wonderful samples!!! Thank you for another fabulous Rudolph Days challenge. 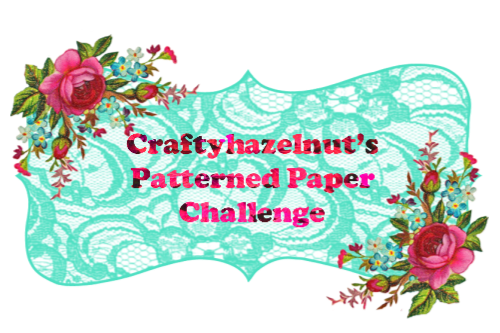 Even though I haven't been on my blog much for quite awhile, your challenge has kept me making at least one Christmas card each month! Much appreciated! Great projects and card from Dr. Sonia and Linda! This is always such a great challenge! Made it, phew! Great DT cards as well as a lovely choice of prizes Mo. Oh my, I was sure I already left a comment here but I don't see it, so here's another one! Thank you for helping to keep me on track with making my holiday cards! Beautiful inspiration samples by your team! 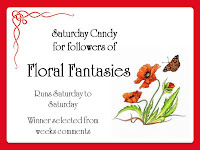 Nice prizes too - I'm hoping for the Tim Holtz set! Have an awesome day! Lovely DT makes again,just made it this time ! Super cute projects! I didn’t think I would get a card done this month, but was able to at the last minute today! Thanks for hosting! 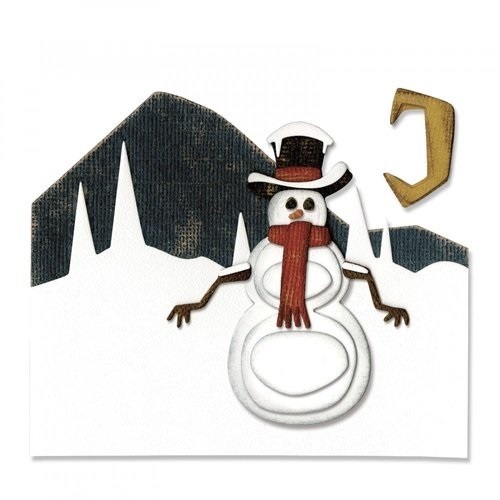 Wow those tags are fabulous, and super cute snowman card too!